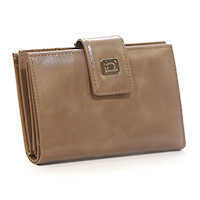 This stunning ladies’ bifold wallet with coin pocket storage has all the storage you would expect in a full size clutch. 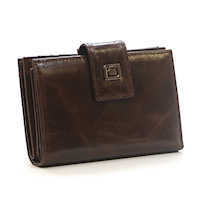 With 16 card slots, an ID window, 4 larger slots, full size billfold and kiss clasp coin storage, you will surely be able to fit everything you need. 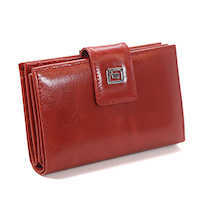 The high quality two tone leather is sure to be envied.